Big Income! This fully rented property has gross rents of $60k. Legal 3 family with many recent improvements. Great location near city, schools, park, is always in demand and easy to fill. Further rental upside with minimal capital investment and great candidate for conversion to natural gas saves on both Oil and Electric - gas lines already in utility room. Square footage does not include rear walkout 1BR unit. Investors! GRM of 8.75 and cap rate of 7.37% from day one. 3 units at $5k per month, month to month leases, separate meters. 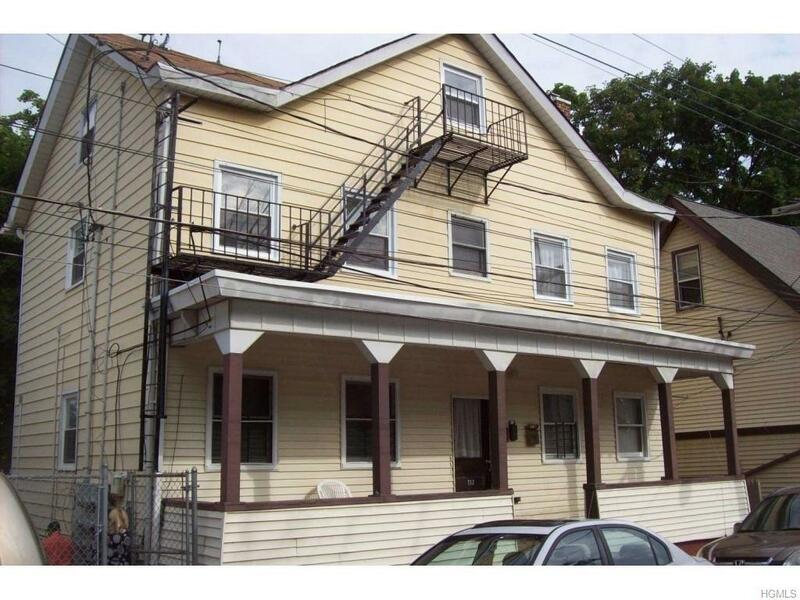 1 BR rear $1100, 2/3 BR 1st floor $1400, 4/5 BR 2 Full bath duplex $2500 = $5k/mo. Or $60k/yr. Net Income over $38k. Not a foreclosure, short sale, or tear down. It is a great portfolio property for investors who want good cash flow and future upside.